Kiting is fun and exhilarating all-year-round sport, it is known as the fastest growing sport in the world. KITE BUGGY is a great alternative for anyone who likes driving with speed or cruise around. not ready water or just want to try the power of kitesurfing gear. 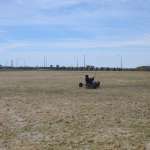 Kite land buggy can be done at any open space like large grassy or sandy field, local parks, sandy beaches. 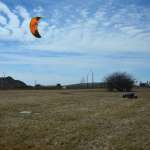 Kite Buggy is very similar to snowkiting and ones you have taken this lesson you may apply kite flying skills to skis or snowboard during winter season. At CKSS kite surfing school, we promote safety and follow the rules and regulations, local and international standards. Our professional instructors will help you getting into the sport quickly and safely while having fun. If you already have some experience its great. One of our CKSS instructors will test your kite flying skills and continue with a set of exercises which will help you to learn faster. 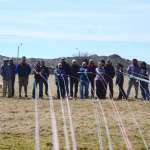 For this lesson WE will PROVIDE you with all kiting equipment needed . Ones you have completed some lessons and decide that this sport is for you we will help you with proper gear selection that will also suit your budget through our affiliated stores or our local kiting community members . There is no need to search over internet, forums with confusing info , just ask CKSS instructors and they will be more then happy to help.